OUR MISSION IS TO OFFER RELIABLE, UP-TO-DATE INFORMATION ABOUT TEA AND ITS BENEFITS, ACCESSIBLE TO ALL. 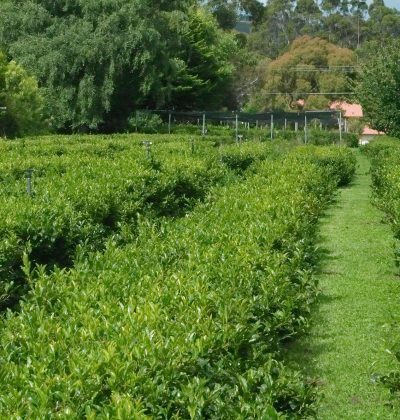 WE ARE ABOUT RESPECT; RESPECTING THE LEAF, RESPECTING THE ORIGINS OF OUR TEA, RESPECTING THE LAND WHERE TEA IS GROWN AND THE PEOPLE WHO PRODUCE TEA. How do you know how fresh your tea is? Smell it. Smelling the dry leaf is the best indicator of how fresh a tea is. This is the basic rule for all teas, including scented ones. There should be a smoky or toasty quality. If you can, also test the steeped quality and freshness of the leaf. Add boiling water and and it will enable you to really discover the freshness. This, of course, takes a bit of practice. You can tell a lot from the look of steeped tea leaves – and I don’t mean telling the future. I mean the scent, saturation and colour of the leaf are all good indicators of the tea’s freshness. Tea travelled from China to Europe on the boats of Dutch and Portuguese travellers at the start of the 17th Century. This was a key part of the history of tea. Teas were popular with the British and were auctioned to the wealthy. The cost of tea was quite high and therefore this meant that only the upper class could afford to drink the beverage. This new trading between the East and West paved the way for more trade and communication between the two places. In Europe tea became a status symbol: if you drank you tea, you were well off. It also opened technological gates and inspired the development of faster boat-crafts called “clippers”. In its heyday tea was mostly used for medicinal purposes. Its bitterness, not common in any other food or drink, was considered a health fuel. It was found to be a soft stimulant, good for digestion and also an aid in general health and wellbeing. It wasn’t until about the fifth century AD, when China’s upper class took to using tea as a gift or an honour at social and cultural events. This practice has established tea as a special, at times sacred, drink. The Chinese tea ceremony has developed and is now inseparable from both Chinese and tea culture. High tea is now a very popular practice throughout the world. The practice of “taking” afternoon tea kicked off in the late 1800s. Anna, Duchess of Bedford, is credited with creating afternoon tea in 1840, when she began having tea with a light snack around 4pm to ward off “that sinking feeling”. Often the elite ate their evening meal quite late so people quickly took to the idea of catching up for snacks and tea in the afternoon. Traditionally a time for the ladies, the event has nowadays become popular for anyone. High tea originated with the rural and working class British, who would return to their homes at about 6pm for a meal of potted meats, fish, cheese, salads, sweets, and a pot of strong tea. High tea nowadays is more of a fancy meal of sweets and small savouries accompanied by tea. To the artisan drinker, tea bags are the cruelest thing to happen to tea. When they were introduced – by accident – in the early 1900s tea would change forever. A New York tea dealer called Thomas Sullivan began sending out tea samples to his clients in small silk bags, with no explanation. Clients thought that the entire bag was supposed to be immersed in the hot water, such as with the use of a metal diffuser. This sparked a revolution in how tea was consumed and produced. Feedback from Thomas Sullivan’s clients told him the bag was too thick and the silk mesh too fine, and did not allow the water to penetrate and the tea to infuse in the water. Following this he produced the first tea bags in 1908. They soon became popular in the United States but it took Great Britain another half a century or so until they got on board en masse. By the mid-80s tea bags were used by 68 per cent of tea drinkers. Today: 90 per cent of tea drinkers use them. The use of tea bags is often shunned by specialty tea drinkers who prefer to see their leaf, smell it and watch it steep. They love the art of tea. This, to a degree, has been partially lost by the process of finely chopping tea leaves (often of very low grades) and putting them in a bag. Tea bags are easy to use, leave little mess and are extremely portable. But they also turned drinking tea from a ceremonial act to a convenient one. Also, some argue that the quality of tea has become compromised. Producers can use stalks, crushed leaf dust and whatever they want if it is inside a bag for no-one to see. This is why some people say that you might get a cup of tea from a bag, but you will never get the true experience of tea. Some records tell us that the Japanese have been drinking tea since the 8th Century. It was particularly linked to Buddhist ceremonies in the early years but for some strange reason tea drinking took a break from Japanese culture for about 400 years and then re-emerged in the 12th Century. A Buddhist monk called Eisai was one of the pioneers in Japanese tea history. Returning to Japan from a trip to China he brought with him some tea plant seeds that were planted in the Uji region. He also brought back knowledge of tea and introduced the custom of grinding tea into powder, called matcha. The habit of drinking tea didn’t catch on quickly though, and for a long time was reserved only for the Japanese elite. Several centuries later, in roughly the late 1600s, some farmers in the Uji region improved the tea processing technique of steaming and rolling the tea leaves. They called this sencha, and it quickly became popular with the wider Japanese community. Japan has since become famous for other types of tea. One, called genmaicha, is mixed with puffed rice and has an earthy aroma to it. Traditionally genmaicha was used by poor farmers as a hearty, warming drink but nowadays it is a specialty tea consumed throughout the world. In Japan tea drinking is the foundation of the daily routine. The ritual is inseparable from a person’s search for harmony and serenity – both of which are fundamental keys to Japanese culture. The act of drinking tea transcends lifestyle and is more of a philosophical practice. Chanoyu is a traditional Japanese tea ceremony and translates literally to mean “hot water for tea”. Chanoyu was developed in the 16th Century by Sen No Rikyū, following the practices of Zen Buddhism. Chanoyu generally takes place in a simple, yet decorative, tea room or pavillion, usually in a quiet corner of the garden. Things kick off with a light meal known as “kaiseki” and then begins the central part of the ceremony, “goza iri”. This involves serving a thick tea, known as “koicha” and then a light tea, known as “usucha”. This takes about one hour but some Chanoyu ceremonies can last up to four hours. Throughout the ceremony various blessings and gestures are done to honour tea, life and respect for all things. The host spoons matcha powder into a bowl, adds hot water, and whisks until frothy. It is first offered to the guest of honour, who sips and then wipes the area where their lips have touched the cup. It is then offered to other guests and then finally to the host. Not only has tea and tea ceremony influenced the art and architecture of Japan but it also explains a lot about Japanese culture. You know when something is moreish; you go back for another sip or bite or lick. Well, tea has that special taste property that keeps us keen, and it is called ‘umami’. Umami is a Japanese word which translates roughly to mean “delicious” or “savouriness” and is used to describe a taste which leaves you wanting more. The other tastes we can decipher on our palates are sweet, salty, sour and bitter, but umami is elusive and is worth explaining. Umami was a term used as early as the 13th Century but was not classified properly in the Western world until the early 1900s. It is a naturally forming combination of substances including monosodium glutamate, otherwise known as MSG, which as we know is a flavour enhancer, and it is found in tea. Bitterness is the main flavour of tea but this is balanced by the other flavours. Now, bitterness is something that we don’t usually get in our diet – which is why tea is thought to be an important addition to a healthy, balanced diet. The taste of bitterness is felt at the back of the tongue. This is why tea tasters slurp their tea, so it hits the back of their mouth and tongue, giving them the maximum taste experience. Umami, though, is felt all over the tongue, explaining why one cup is never enough. Elephants played a big role in transporting tea throughout India in the 1800s. They were essential for travel in the dense, tiger filled jungle, which was teeming with mystery and danger. Being up high on the elephant’s back meant the tea transporters were out of harm’s way – for the most part. Also, most wild tigers would scarper at the sound of a heavy-footed elephant trekking their way through bracken and bush. Elephants were also extremely helpful in clearing the jungle and land in preparation for tea plantations and paths. It is for these reasons that their power and strength contributed significantly to the growth of the tea trade in India. Tea companies would capture the elephants and train them to be their workers. The elephants would carry the tea on their backs – up to six chests at a time – strapped in specially made ‘howdahs’ or carriages. One company also developed an elephant cart which carried fifty four chest of tea – more than 5000 pounds. ACCORDING to Chinese history, the steeping of tea is of utmost importance. Steeped to quickly and the tea will not realise its true character, steeped to long and it will become bitter. The amount of tea used in the pot, the heat of the water and the energy and intent used to boil the tea also comes into play. Firstly, boil your water. Once it has reached the boil swirl a small amount of tea around in your teapot to rid any bad ‘qi’ or cold energy. Now, with a warmed teapot, you can add your tea leaves and pour over hot water. Use roughly a small teaspoon per cup and learn to develop an intuition about how much to use in relation to your tastes and the size and coil of the tea leaf. If you use an oolong, which is tightly rolled, you will need less than if you use a larger dried leaf as the oolong will expand during the hot water steep. Wait several minutes for the tea to infuse. Once you feel the tea is ready pour it into cups, always serving others before yourself, and then enjoy. Do not wait for your tea to cool too much for it is thought to lose its live ‘qi’ or energy. Drink it while it is ripe and ready. AUSTRALASIAN TEA ASSOCIATION © Copyright 2018. Sign up for subscribe our newsletter !